“For seven consecutive years, DREAM exhibition has been an essential platform to promote original and new projects of the Lebanese real estate market… This 7th edition of the immense scale of Dream real estate exhibition collects a large number of well-known real estate developers, brokers and financiers” (Baz, 2017). 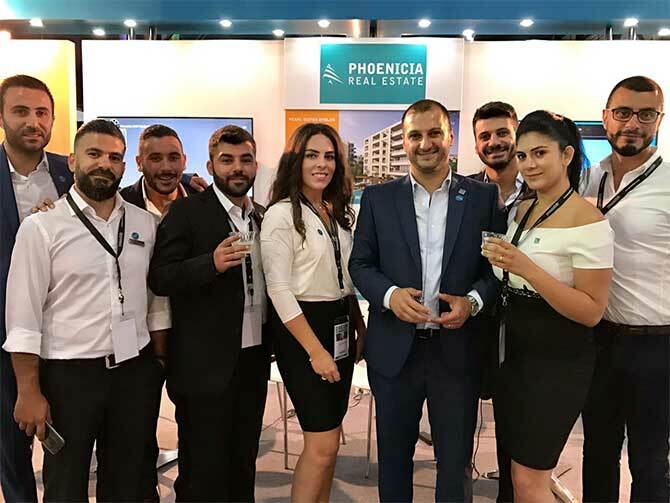 As one of the leading real estate companies in Lebanon, Phoenicia Real was a part of the DREAM exhibition that took place at BIEL –Beirut, from June 28, till July 2, 2017. For five consecutive days and besides promoting our various projects in Jbeil, Kesserwan and Metn areas, Phoenicia Real Estate team were present devotedly to welcome and meet with the expo visitors at our stand. We would like to thank all organizers and participants who helped to make the exhibition such an enormous success! We hope to see you all at the next DREAM exhibition.